It's 7:58 am and a rounded smart device sits quietly on the kitchen countertop. At 7:59, John finally shuffles in wearing his usual slippers and blue-striped bathrobe. He knows it's almost time to take his heart medication, but at his age he can never remember the details, like what pill it is, how many to take, and at what time. Like clockwork, at 8:00 am the smart device's screen glows with a small photo of John bobbing in the center, beckoning him to come closer. John leans in to face the screen so it can confirm his identity before dispensing two small, red pills into a dosage cup beneath the screen. Ah, so it's those pills. Smart healthcare like Pillo is made for people like John: adults with chronic conditions and a never-ending cycle of pills, capsules, and vitamins. Inside the device's polished shell is a pill wheel with capacity for up to 28 days of medication. When it's time for a dose, Pillo will call out until the right person comes up to the screen for facial identification before the meds are dispensed—a valid security measure if there are kids around. 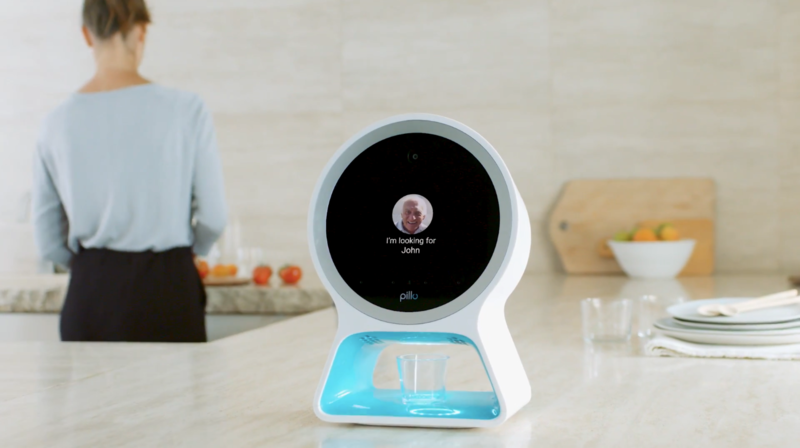 But Pillo isn't "just a pill dispenser," it's also a familiar virtual assistant with a touch screen and voice-recognition. You can ask for weather updates, set reminders, video call with your contacts, and even query the nutritional value of your food. Furthermore, it syncs with its own mobile app so whoever is on the medication can keep track of their doses and schedule. They can also use the app to chat directly with Pillo and share important information with their caregivers or loved ones. Now for the big question: can Pillo replace human caregivers? No, and it doesn't pretend to. While Pillo makes medication management easier and provides in-home care and companionship, someone has to manually load the medication into the pill wheel. Caregivers also receive notifications on their phone so they can follow-up if the user misses a dose or has an upcoming appointment. "In-home digital care assistants like Pillo will never replace human interaction or the human touch," said Emanuele Musini, CEO of Pillo Health, "but they will go far to reduce many of the inefficiencies associated with healthcare today." Technology like Pillo is no stranger in the healthcare industry. There are Alexas in ambulances, smart speakers in clinics, chatbots in therapy apps, and smart cubes hooked up with wearables to monitor senior patients. Not only do these smart solutions target physical or mental health, they're also focusing on emotional health—particularly for the elderly. An increasing number of personal robots are being paired with senior adults to keep them company during their lonely days at home. A 2017 research report by P&S Market Research predicts that the companion robot market will be valued at an estimated $34.1 billion by 2022. Personal robots had a strong presence at CES 2019 earlier this year. Pillo was amongst the many smart solutions being showcased at the event and, deservingly, took home the Innovation Honoree Award. The win wasn't just for serving as a "high-tech medicine cabinet," but for its impressive user experience and the ability to virtually accompany people—like John—who may feel the most isolated during their treatment. If personal robots and inspiring voice tech are always on your mind, join us at VOICE 2019 for a deeper glimpse into the rising tide of smart healthcare. If you save your seat now, you can use our special discount code: FIRST500. Don't leave it for later. 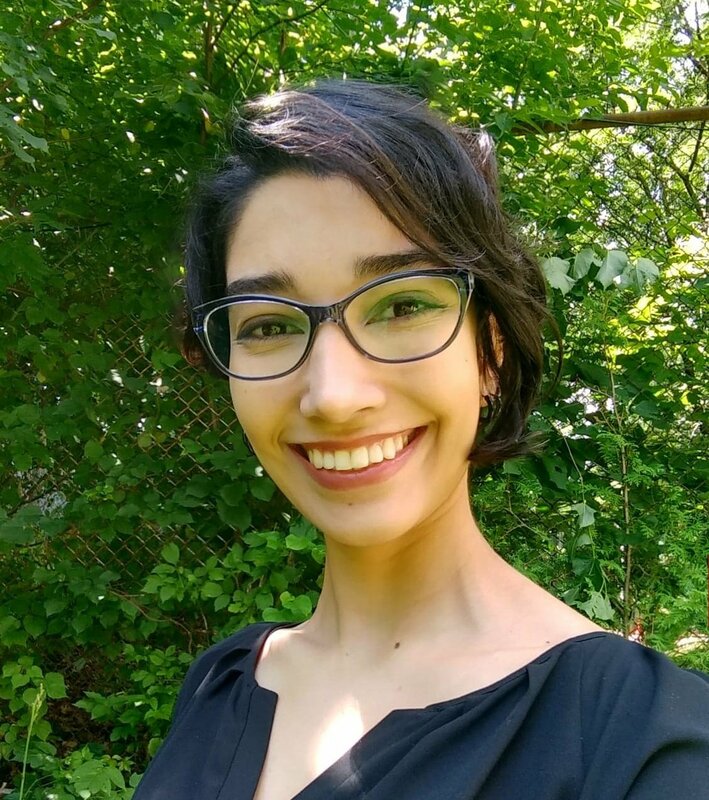 Register for VOICE19 here.